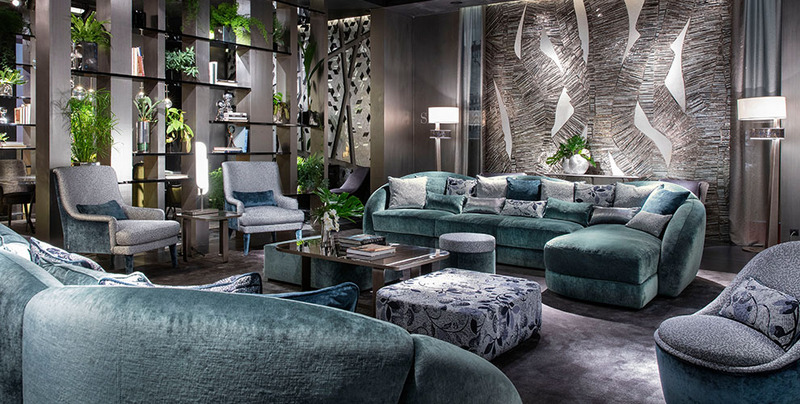 This new Sicis Next Art collection is named after one of oldest and most powerful Milanese dynasties: the Visconti family. The line is inspired by the architectural and artistic production of the Italian Renaissance and it is unique for its precious materials and exclusive craftsmanship that allows to realize sophisticated environments but comfort at the same time. 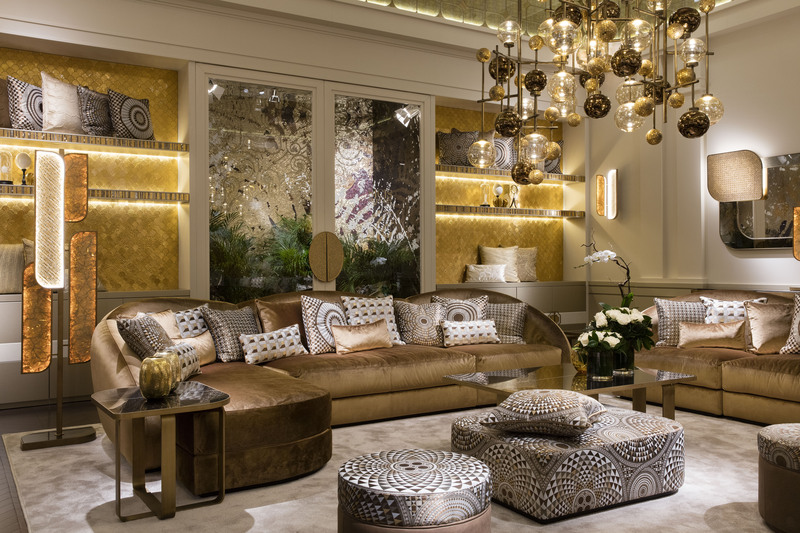 The collection consists of ottomans, sofas of different sizes, dressed in velvet with golden hues, padded with goose down, and pillows created with exclusive SICIS fabrics. The line also includes Gueridon tables and side tables with tops in polished stone Black Aziz, surrounded by a steel structure with antiqued bronze finishes. Last but not least, consoles and mirrors embellished with inserts in artistic mosaic, floor and table lamps. Each piece can be customized according to customer requests.